Seismic volumes take up a lot of space, especially when gathers get involved! Duplicating large seismic volumes can use up a lot of valuable disk space. 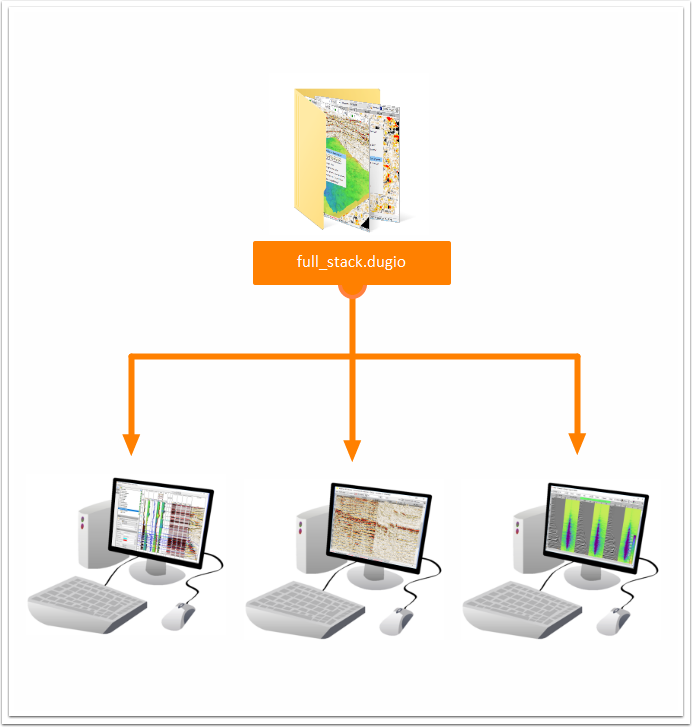 To save space, Insight can share one DUGIO volume between multiple projects, with multiple users reading from the same data. DUG’s efficient DUGIO format is designed for shared access across networks, enabling super-fast speeds. When data is converted to a DUGIO volume, it is automatically added to the current project. Volumes can be added to a project regardless of where the project and data are stored. To include a volume in a second project, open the project, then use the Import > Volume item in the Control Panel menu. Make sure you have the correct survey loaded first! There are two approaches to copying projects to new locations. To copy the entire project, including any shared dugio volumes, use the Data Manager > Project Backup tool. Be sure to choose the option to include dugio volumes outside the project area. Another method is to back up or copy the project folder only. The connection to the DUGIO volume will be lost, but it can easily be reconnected. When the user attempts to access the data (by loading a session or adding the volume) Insight will show the missing files window. This dialog lets you quickly search for and reconnect missing volumes. Easy!